The movie starts out with Katsuhiko going to the US, with Kasumi and Yusaku seeing him off at Narita. 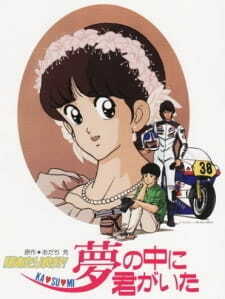 Two years later, Katsuhiko is a professional racer, and comes back to Japan to race (and to marry Kasumi). Yusaku's hobby is photography.